Getting an edge at any level of poker helps improve winnings, but as you play in higher stakes games with better players that edge becomes harder and harder to find. The term ‘marginal gains’ was popularised by British cycling, and was the term they applied to increasing a 1% edge in every aspect of cycling. This has parallels with poker; there are so many different facets of the game that making even tiny improvements in each area should add up to a large overall improvement. Here are ten ways you can achieve a ‘marginal gain’, or what could more commonly be known as an edge. Discipline in poker comes in many forms. Discipline to play each hand methodically not whimsically, discipline to stay calm when the stakes are getting raised, and discipline to keep to a strategy. In long sessions maintaining discipline can be difficult: being sucked into bad hands and getting frustrated are common amongst top players. Avoid this by having a clear plan, and if you find your mind wandering get in back on track even if that means sitting out a few hands. Control the controllable. How you play will, to some extent, be influenced by other players but you can still plan out much of your approach. A good example of this is knowing what cards to play at different positions in the table: there are different hands that should be played in the button position versus a mid-position in the table. It’s hard for other players to predict what you’re going to do but this will be to your advantage. There are a few ways to build this secrecy: keep your bet sizing the same, play post flop hands using the same actions, and never show your opponents your cards. Spend time cultivating the secrecy in your game and it will pay dividends. Ideally you want games filled with drunk, rich novices. Although it can be tempting trying to play against the best players, if there is a table with players of lesser ability, join it. There are of course, exceptions to the rule – playing with better players can progress your game and if that’s the reason then playing is good –but if the reason is based on ego then it’s a mistake. Appearance matters in all walks of life; clothes have been used to intimidate, pacify and befriend for millennia. This is no different in poker: being well dressed can have an edge on the poker table, evidenced by the large number of poker players who deploy this tactic. Maybe it’s to distract other players, to create a certain persona or to feel confident. Whatever the reason, how you dress can give you an edge. If you’re able to adjust your play to give you an advantage over your opponent this will undoubtedly give you an edge. Look for tendencies in their play or physical signs that give an indication of their strategy. Good players will be able to tell when other players are becoming weary and look to capitalise on their mistakes. Calling the pre-flop raise and then folding is a big negative EV bet for most players and can really hinder making good returns in poker. For most players in most situations playing a tight form of poker and coming into hands with strength is the best way of winning over time. If you have a good hand then don’t scare off your opponents; keep your bets conservative and get them committed to the hand. You won’t win every showdown but if you make it count when you do it’ll really help you build solid returns. The grass can always seem greener, and when you’re enmeshed in a certain form of poker and it’s getting hard the temptation is to try a different form for a break or because it seems easier. When it feels hard that is when you are learning so you should stick to the game and double down your efforts. 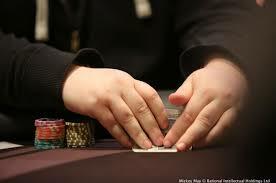 You will get better returns and more enjoyment from becoming an expert in one form of poker. This sounds obvious but playing in a deliberate way will give you the experience and context to improve. Then when you step away to study and strategize you will be able to relate what you’re learning from real experiences. You will also have scenarios you’ve been involved in which can guide your learning. Whatever level you are at, good luck with your game and in getting that edge!